Discover the power of MemberPress with a 14 days free trial access with all features. * This is an affiliate link helping me earn a small income for recommending this solution. If you like this review you can support me in my continuing journey of evaluating marketing solutions by using this affiliate link. 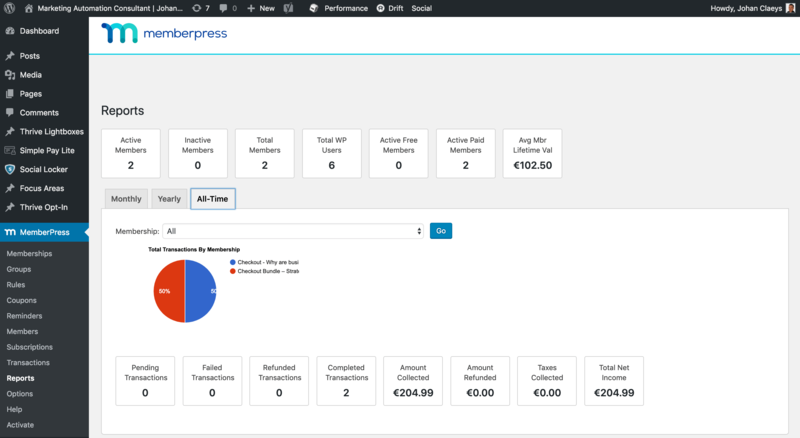 In this long-form review page, you will find more information and insights regarding the Memberpress WordPress plugin combined with my experiences for setting up a membership site in WordPress. Memberpress is a solution for marketers, entrepreneurs, business owners to run successful membership on their WordPress websites. Look at this review as an informative piece of content helping you in your decision process for implementing membership functionality in perhaps your website environment. 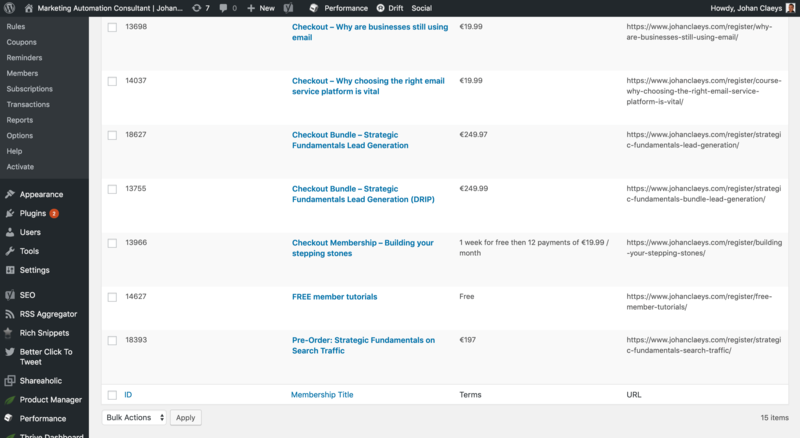 In the tutorial video you will discover a live example of how I integrated Memberpress on my website. 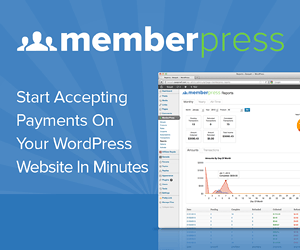 MemberPress is an easy to use WordPress Membership Plugin. It will help you to instantly start charging your users for access to your content. The product will help you confidently create, manage and track membership subscriptions and sell digital download products. In addition to these features, MemberPress will allow you manage your members by granting and revoking their access to posts, pages, videos, categories, tags, feeds, communities, digital files and more based on what memberships they belong to. You will have fine grained control over what content your users can see based on what membership or digital products they've purchased. Restrict access to pages, child pages, posts, custom post types, categories, tags and almost any other files existing in your WordPress installation. Coupons make it easy to run promotions and giveaways ... so they are a critical component to any online business. Memberpress allows you to generate as many coupons as you want, control when they expire, their number of uses and even customize the coupon codes. 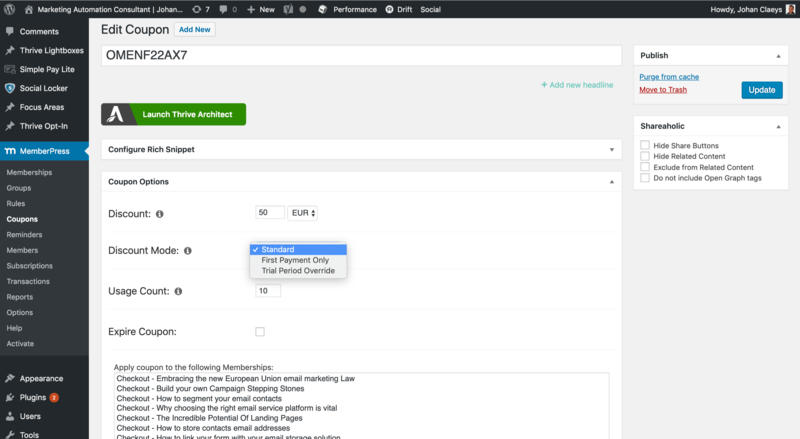 MemberPress will allow you to generate dynamic pricing pages for your membership products---sort the order of your membership products, change the copy, change the look and feel ... its very easy and powerful. MemberPress provides several pricing page themes out of the box to make your pricing page look good ... no CSS or HTML coding required. If you're an advanced user and don't find a look and feel for your pricing page that you like in MemberPress then you can simply create your own css styles or fully customize by creating or using a page template in your WordPress theme. Group pricing pages are just standard WordPress custom post types so they're easy to customize. You'll never be left hanging when it comes to how things are going on your membership site with MemberPress. We've put a lot of thought into the reporting in MemberPress to make sure it will give you all of the information you'll need and none of the information you won't. MemberPress reports will always let you know how much money you're bringing in, which products are selling ... and much more. Figuring out how to configure your site to charge users for digital products or bill them for membership products can be needlessly complex and frustrating (to say the least). 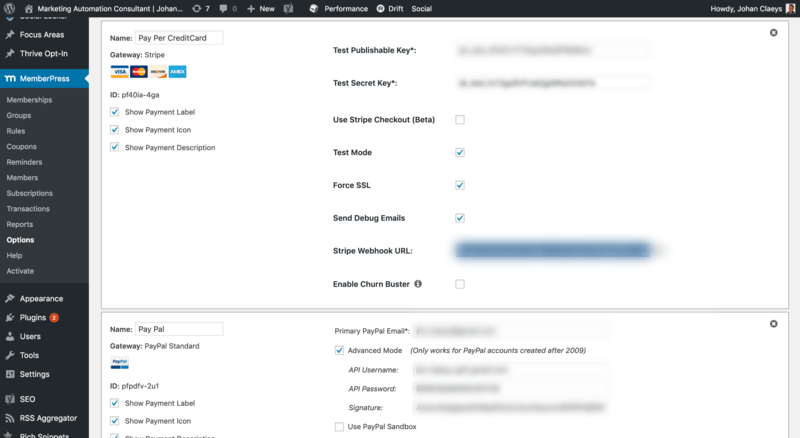 Painful gateway setups have burned us too, that's why we've made sure that in MemberPress all you have to do is enter your gateway API keys, setup any notifications the gateway needs and you'll be cooking with gas. There's nothing half baked about it---MemberPress will give members the ability to create, update, and upgrade or cancel their subscriptions directly from your website. 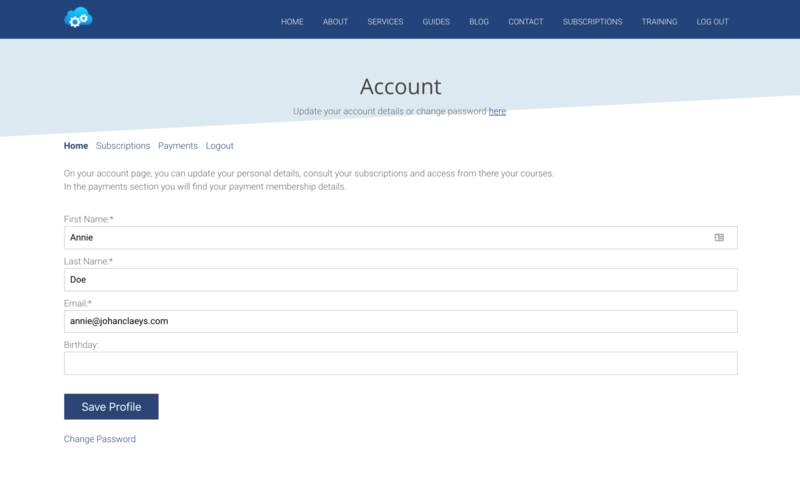 And since MemberPress leverages the automated billing systems on the payment gateway's side there's no complex setup ... You'll be able to sit back and relax with the confidence that your payments will come in regularly and that MemberPress will automatically grant or revoke access to your members based on those payments. 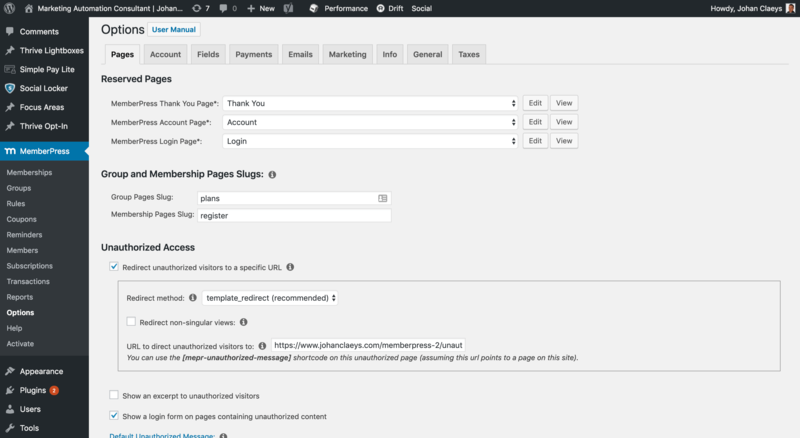 “The Most Powerful WordPress Membership Plugin"
Almost anything you can think of can be customized with MemberPress.